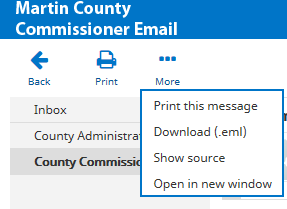 Martin County Commission and Administrator emails are displayed as part of the County’s commitment to communications transparency and as a service to citizens. 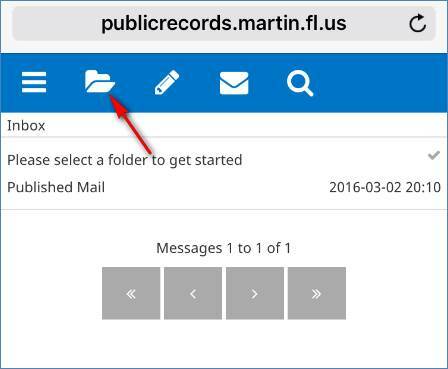 All email sent to and from Martin County Government is subject to the public record laws of the State of Florida. 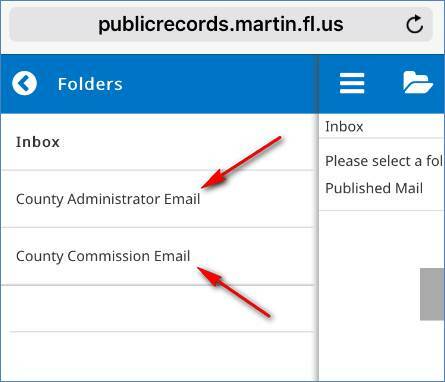 After selecting County Commission or County Administrator Emails by default message are arranged by date with the newest message at the top. To re-sort message click on the column heading. To search for emails enter the search term in the search box. There is also an option to filter by messages that include attachments. A couple of additional features are available under the "More" option. From a mobile device the view is a little different. Martin County is committed to ensuring accessibility of its website to people with disabilities. To report an accessibility issue, request accessibility assistance regarding our website content, or to request a specific electronic format, please complete our Accessibility Feedback Form. We will make reasonable efforts to accommodate all needs.